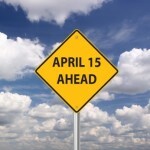 If you moved to your Huntsville AL home in 2013 now is the time to anticipate itemizing deductions on your tax return. Here’s a partial checklist of some often overlooked deductions. Feng Shui Tips for Selling Your Huntsville Home. Four tips to price your Huntsville home for sale like a pro. Here are 8 low-cost decorating tips to make any room in your Huntsville home look bigger. Here are 9 tips to help you get a Huntsville home you’ll love and be prepared for additional costs you may not have considered. How to make a tiny room look in your Huntsville home larger without breaking the bank. One of the most important maintenance procedures for the exterior of your home is cleaning the rain gutters.